Rain forests may contain more than half the Earth’s plant and animal species, but in terms of diversity, coral reefs are certainly one of the most productive and biodiverse ecosystems in the world. Coral reefs cover an estimated 110,000 square miles of the ocean floor and are home to more than 25 percent of marine species for at least some part of their lives, according to the Coral Reef Alliance. While it’s difficult to predict exactly when the two growing cracks on Antarctica’s Brunt Ice Shelf will intersect and cause an iceberg to break off, scientists say a calving event is imminent. Farmers and ranchers rely on the land to make a living, and while there are many ways to prepare for natural disasters, a newly-defined type of drought can certainly throw a wrench in their best-laid plans. NOAA Satellite Images Show Major Flooding Along Rivers in the Southeast U.S. The severe storms that brought tornadoes, damaging winds, rain, and hail to the Southeast over the weekend, leaving tens of thousands without power, were the result of a “meteorological battle zone” between warm and cold air, said Walt Zaleski, warning coordination meteorologist for NOAA’s National Weather Service Regional Headquarters in Fort Worth, Texas. A low-pressure system over the Southern Plains pushed warm, moist air from the Gulf of Mexico over the southeastern United States, while cold, drier air dropped from Canada into the Northern and Central Plains and the Midwest and Great Lakes regions. GOES-17 Is Now Operational. Here’s What It Means for Weather Forecasts in the Western U.S.
It’s official: GOES-17 is now operational as NOAA’s GOES West satellite. Although we've already started another trip around the sun, we’d like to take a moment to look back on 2018. 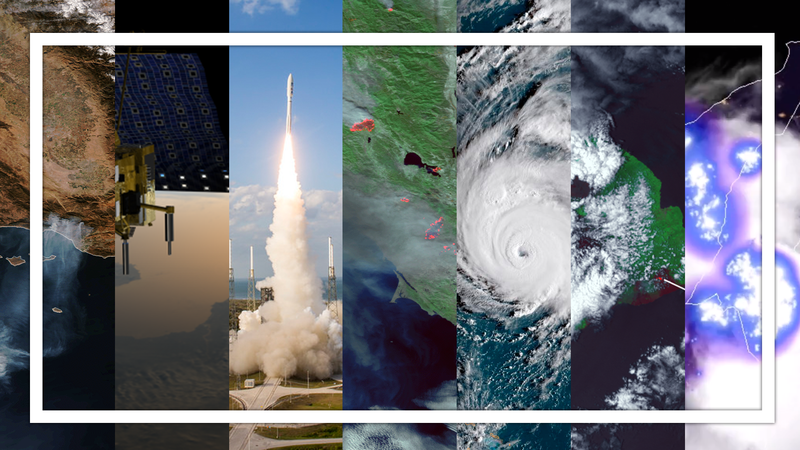 Last year, the NOAA Satellite and Information Service (NESDIS) came together to work through challenges with our newest geostationary satellite, GOES-17, provided data on a series of natural disasters, and improved the nation’s access to secure and timely global environmental data. On the first day of Christmas the scientists gave to me...the World Magnetic Model? OK, fair warning, this isn’t your typical “12 Days of Christmas” song. 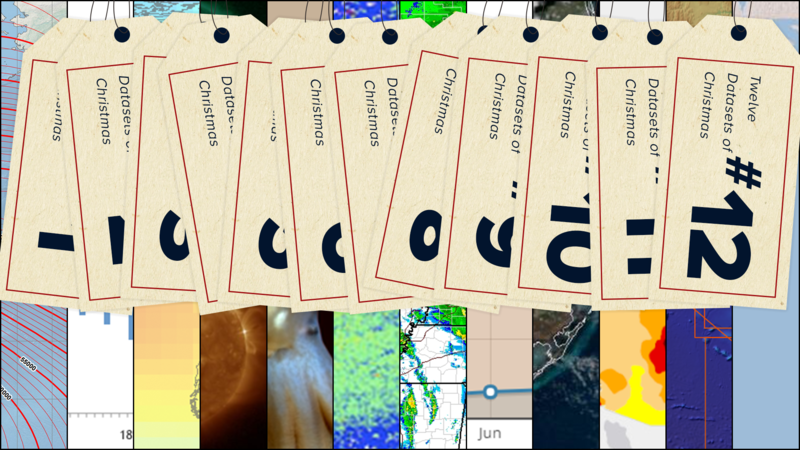 We’ve compiled this list of NOAA's most interesting datasets so you can nerd out before the holidays. The Polar-orbiting Operational Environmental Satellite (POES) project can claim a number of firsts in its 40-year history. It was the nation’s first to provide global search and rescue capabilities from space. Its NOAA-10 and NOAA-11 satellites captured the first cloudless photograph of the entire planet Earth, pieced together using thousands of images. And its advanced data collection system, which pulled environmental data from buoys, balloons, tagged sea animals and streams, inspired a major citizen science effort on the ground and in classrooms around the country.